If you have ever been a space enthusiast when it comes to home designs, then you probably know how convenient a jack and jill bathroom can be. These bathrooms are shared between two rooms. They are separately attached to each room with two different doorways. It is an incredible and smart way to add a bathroom to your floor plan, especially if it is for the kids. Large families always have trouble with space when it comes designing their floor plans. 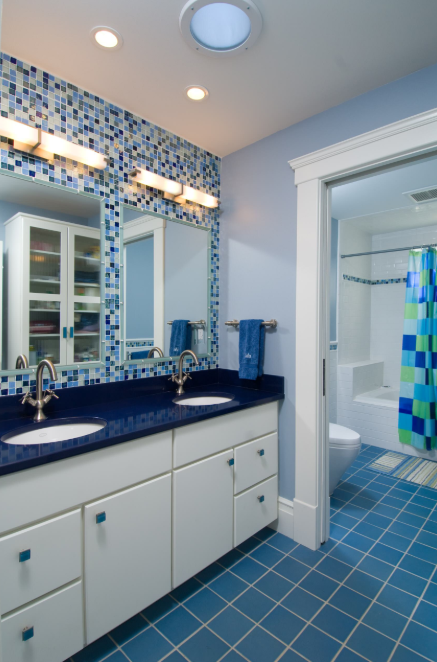 A jack and jill bathroom can save both space and money. 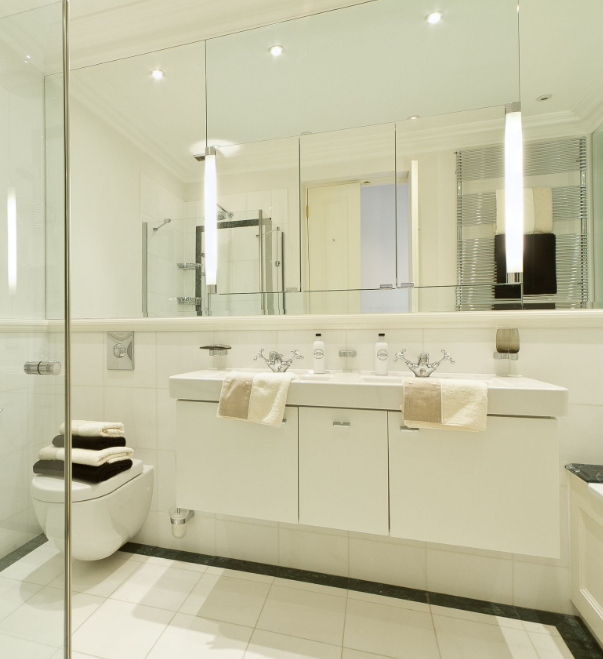 Instead of adding a fully equipped bathroom to two separate rooms, you simply add one and it works just fine if done right. There is no issue of privacy either because the doorways into each bedroom can be locked. It is a smart method to teach your kids about the importance of sharing and compromise. Both are good qualities to develop from a young age. 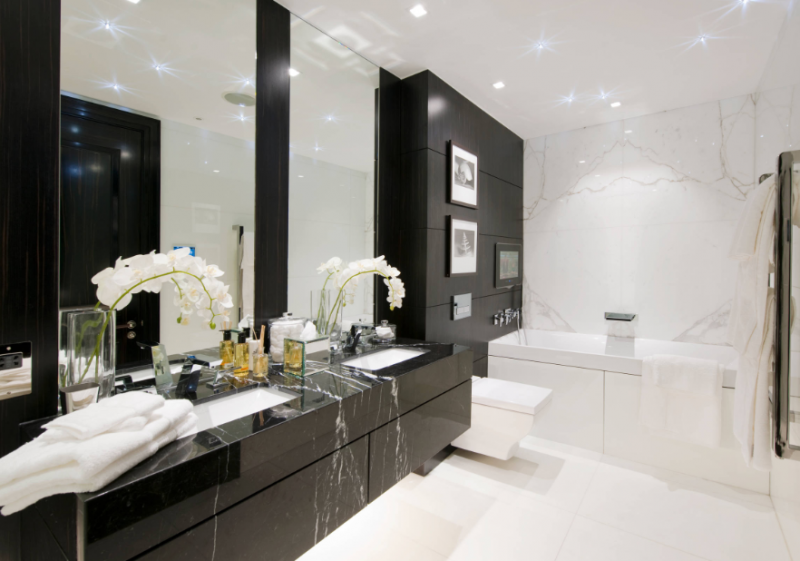 Remember that such bathrooms are typically between two rooms but can also be added between a hall and bedroom. 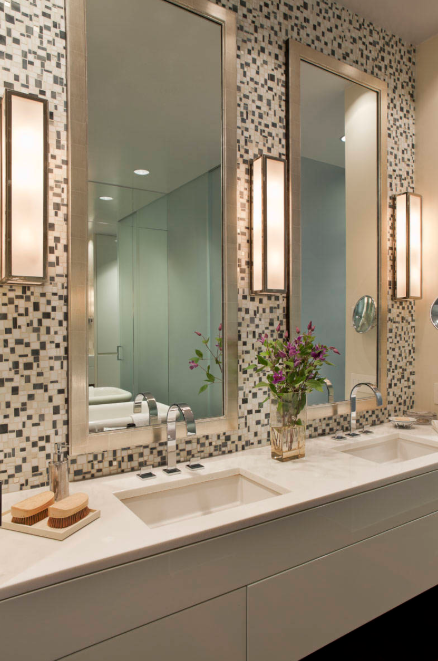 In the following post, we feature a few ideas for a jack and jill bathroom. If you are planning a house plan, then this will be helpful. 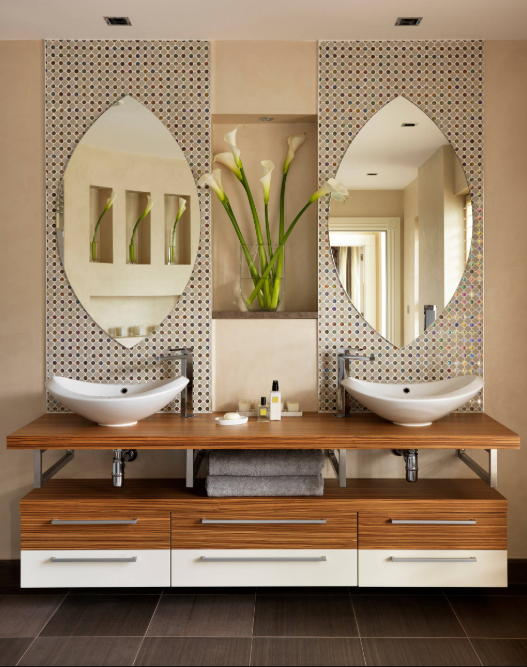 This idea features a low-rise vanity with the mirrors framed by a beautiful border. The frames have finely cut pieces of mirrors that add that extra classy effect and reflect natural light to create an aesthetic atmosphere. The unique cut of the mirrors and the sink simply round off the entire look. This jack and jill bathroom features a clean cut wooden floor and rustic-inspired tile wall on one side. The rest of the space features white in abundance that creates a neat look. 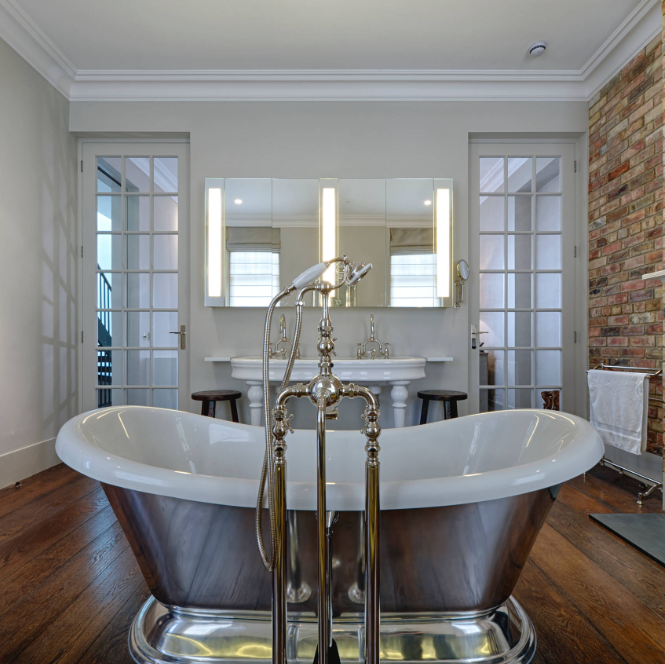 The bathtub is highly-reflective that adds an extra bright and fresh effect to the atmosphere. With two vanities on each side and the bathtub in between, this makes for a beautiful shared bathroom space. The bathtub extends slightly into the wall; creating a unique look. The stone-inspired tiles provide a typical clean effect and the single plaid blind adds to the cozy atmosphere. 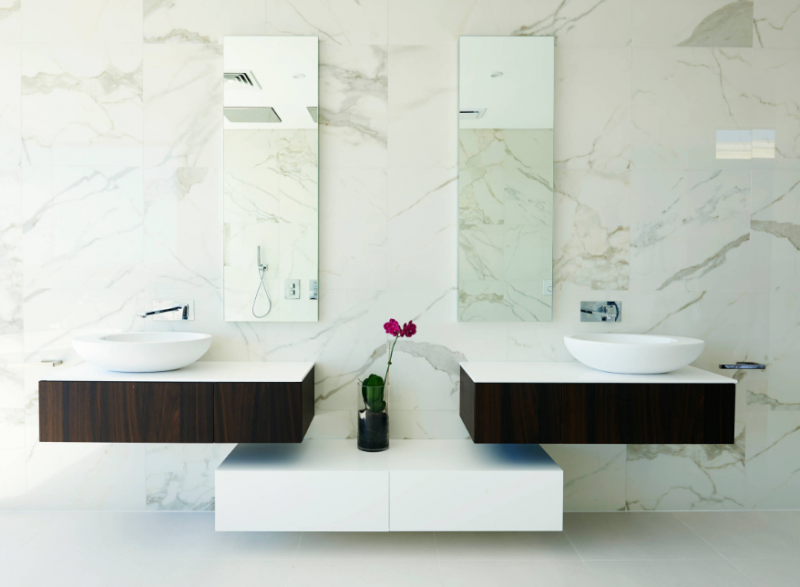 Once again, we simply love this low-rise vanity. It is a clean and minimalistic design but looks effective in its beauty. 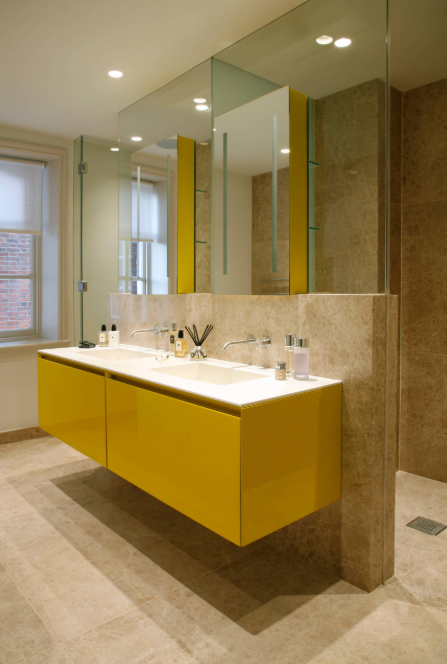 Both the mirrors and the sinks don’t feature an extraordinary shape but the simplicity is what makes this bathroom so comfy. 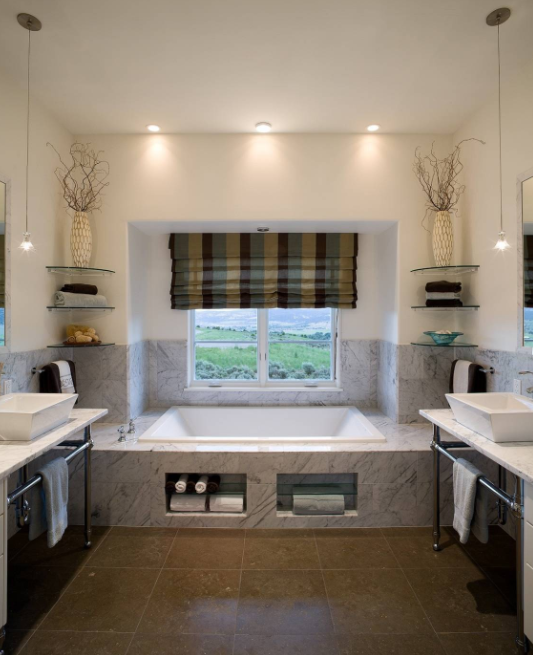 It is a great bathroom idea if you are seeking something plain yet accentuated. 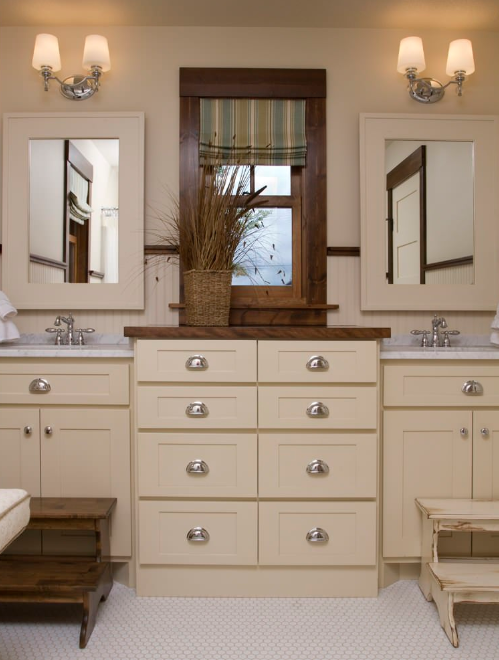 We love the coziness of this jack and jill bathroom. 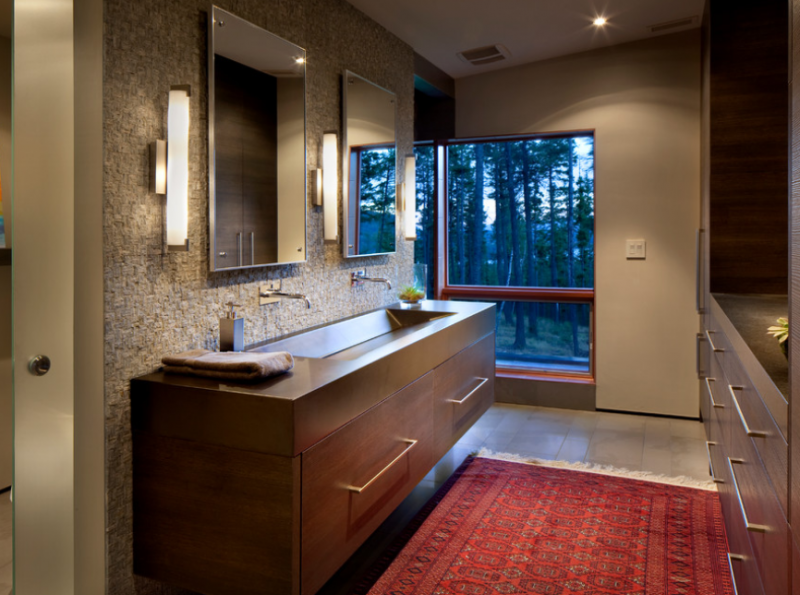 The warm lighting and equally warm-colored rug bring out the wooden fittings. This bathroom idea is effective if you have limited space on your floor plan even for one bathroom. The elongated sink space is working wonders too. So if you are designing the floor plan of your new house and have kids, you can consult with your architect about a jack and jill bathroom.